1. What’s new for 2016? A next-generation infotainment interface to replace the automaker’s confounding MyFord Touch system. The more intuitive, more graphically attractive, and hopefully more reliable Sync 3 connectivity system will be offered in a number of model-year 2016 Ford cars, SUVs, and trucks but debuts with the summer release of this popular compact crossover and the ’16 Fiesta subcompact car. 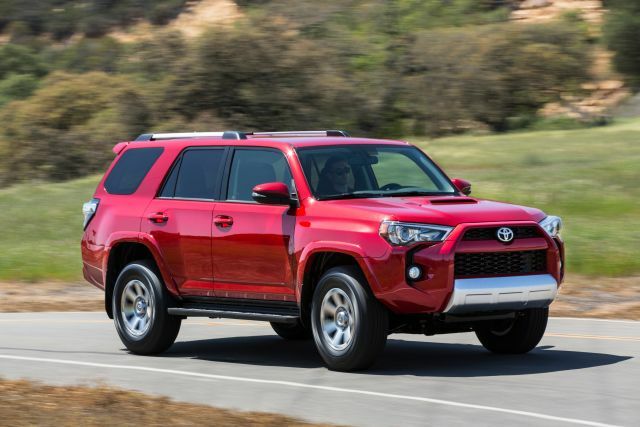 Again stressing fashion-forward styling and great road manners – and de-emphasizing rear-seat roominess — Escape returns as a five-passenger four-door with front- or all-wheel drive (AWD) and a choice of three four-cylinder engines, two of them turbocharged. 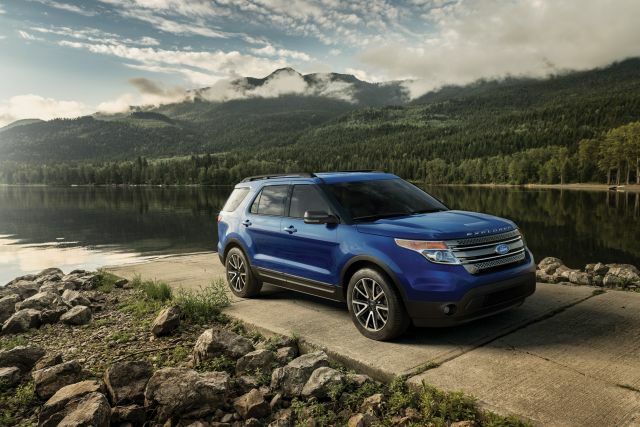 This is Ford’s best-selling SUV and is based on a European-sourced design sold globally. 2. How much does it cost and what sort of deal can I expect? The base-price range — $24,345-$32,380 – is competitive with top rivals, though you’ll almost certainly be able to wrangle more off the sticker price of the Ford. The unchanged three-model 2016 lineup begins with the little-ordered, entry-level S version, at $24,345 (all base prices in this review include Ford’s $895 destination fee). The S is limited to the least powerful engine and front-wheel drive and offers no options. The volume-selling SE starts at $26,545 ($28,245 with AWD), comes with a 178-horsepower 1.6-liter turbo engine, and is available with a host of functional and dress-up features, including Sync 3. Topping the line is the Titanium, priced from $30,630 with front-drive and $32,380 with AWD. Like the SE, it’s optionally available with a 240-horsepower 2.0-liter turbo but includes among its standard features such amenities as leather upholstery, power memory front seats, and Sync 3. As for deals, transaction-price trends established by the 2015 Escape should be good news for model-year ’16 intenders. Pricing service TrueCar.com reports transactions on 2015 Escapes averaging 9.8 percent below base prices. 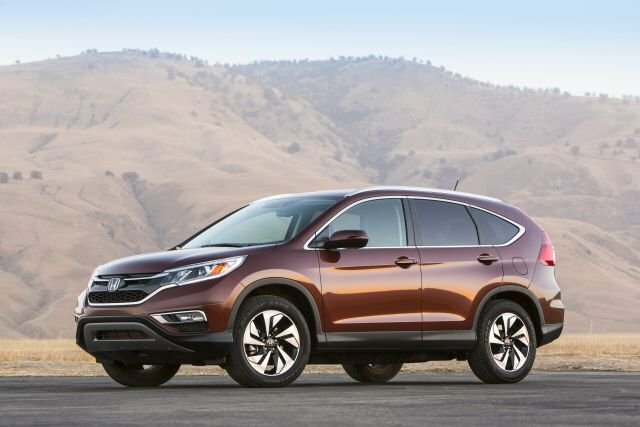 That’s nearly double the discount Honda CR-V buyers enjoyed and comfortably ahead of the 7.8 percent below-manufacturer’s-suggested-retail realized by Toyota RAV4 shoppers. Further brightening the picture is a history of generous factory incentives. 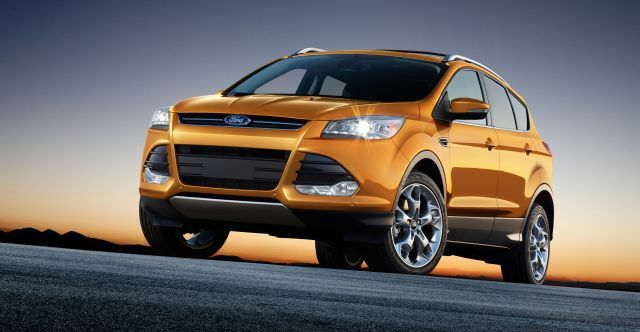 Despite its continued popularity – Escape trails only the CR-V in the compact-crossover sales race – Ford was offering $1,500 cash back or 0-6.9 percent financing to qualified ’15 Escape buyers. That should be a harbinger of incentives that’ll become available on the ’16 model. By contrast, there were no incentives on the ’15 Honda and $750-$1,000 cash back (with no cut-rate interest) offered on the Toyota. 3. When will the next big change be? Today’s Escape came to the U.S. for model-year 2013, replacing an SUV that dated to the final days of the Clinton administration. It’s on track for a full redesign for model-year 2018. Exterior dimensions shouldn’t change much, but expect a needed boost in rear legroom and slightly more conservative styling. It should also feature Ford’s latest 1.5-liter turbocharged four-cylinder of around 180 horsepower and a nine-speed automatic transmission. That’s also about the time U.S. buyers are apt to get their first shot at a Ford crossover slotted below Escape in size and price. Already on sale in overseas markets, the Fiesta-based wagon is expected to join America’s burgeoning subcompact-crossover class during 2016 or ‘17. As for near-term changes, Ford fooled analysts who predicted a model-year 2016 freshening that would have updated Escape’s exterior styling and revised its cabin. That revamp could well occur for 2017, as the automaker seeks to stoke interest before the redesigned ’18 arrives. 4. What options or trim level is best for me? Steer clear of the rental-fleet-flavored S model. Most buyers find an SE to their liking, though the top-tier Titanium attracts a surprisingly healthy share of sales. 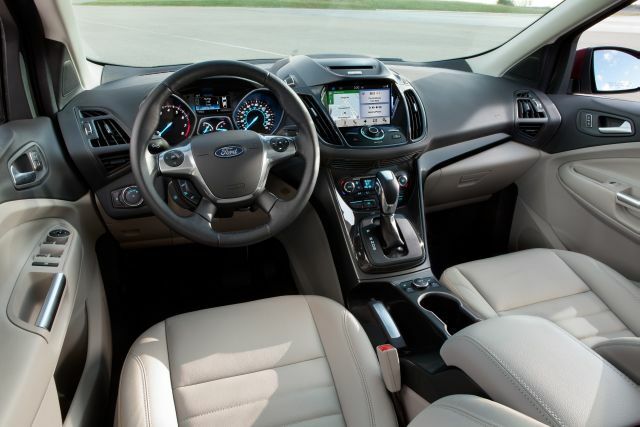 Standard on every Escape is a backup camera, cruise control, keyless entry, and Ford’s trustworthy, basic hands-free phone- and audio-control setup called just-plain-Sync. Also onboard is a 60/40 split/folding rear seat and the automaker’s MyKey feature intended to encouraging responsible teen driving by allowing parents to remotely program limits on speed and audio volume unless seatbelts are buckled. The SE adds such standard features as a 10-way power driver’s seat with power lumbar and its upside is the chance to customize it according to your taste or budget. Useful options are the $445 Cold Weather Package (heated front seats and mirrors, heated windshield-wiper zone, all-weather floormats) and a $495 power liftgate. 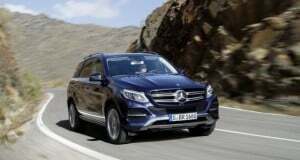 You can dress it up with the $1,445 SE Chrome Package (chrome exterior trim, partial leather sport bucket seats instead of cloth, and 19-inch alloy wheels in place of the standard 17-inch alloys). But we’d choose instead the $1,595 SE Leather Comfort Package (leather upholstery, heated front seats and mirrors, and one-touch up and down on all side windows). Sync 3’s features and operation are detailed below, but adding it to an SE costs $1,395 for a package that also includes an 8-inch dashboard-screen versus a 4.2-incher, a nine- speaker audio upgrade, two smart-charging USB ports, dual-zone automatic climate control with rear-seat duct, black roof side rails, and a rear-obstacle-warning system. To equip Sync 3 with onboard GPS navigation, however, you’ll need to shell out another $795. Even without the Chrome Package, that’s a fairly substantial $4,725 in options, making for an SE with a sticker price of $31,270. Treat yourself to the very cool $1,495 panoramic moonroof, and you’re at $32,765 – before you add AWD or an engine upgrade. For that money, the Titanium is tempting. It includes among its standard features the aforementioned leather and Sync 3, plus several exclusives, including power-memory front buckets, a wave-your-foot beneath-the-bumper-to-open power liftgate, pushbutton ignition, and remote engine start. It comes with 18-inch alloy wheels, but you’ll still need to pay $795 for navigation. Critically, though, the Titanium is the only model available with the some of the latest in safety and convenience items. 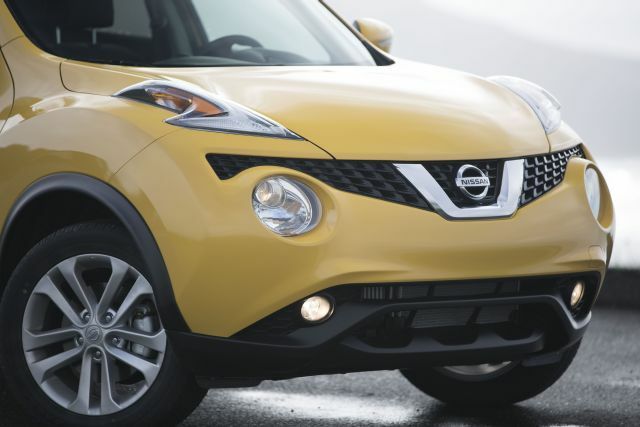 Bundled in its $1,733 Technology Package is blind-spot detection with rear cross-traffic alert, bi-xenon headlamps, automatic self-parking, and rain-sensing windshield wipers. So if you want those driver assists, you’re looking at a $33,158 – before AWD or the hotter engine. 5. What engine do you recommend? The 168-horsepower 2.5-liter in the S runs like a relic and is another reason to avoid this model. The turbos in the SE and Titanium are members of Ford’s EcoBoost engine family and most buyers will find the 178-horsepower 1.6-liter perfectly adequate. It’s no fireball, but does deliver decent throttle response thanks to its 184 pound-feet of torque, above average for a standard engine in this class. If you can swing it, go for the 240-horse 2.0-liter option. With 270 pound-feet of torque, it muscles through city traffic and whistles it to highway speeds quickly. All engines use a six-speed automatic transmission that’s not the quickest-shifter in the class but is acceptably smooth. Front-wheel-drive traction is serviceable unless you live where the snow piles up. The available AWD system is a simple affair that automatically shuffles power rearward when sensors detect front-tire slip. It’s not for off-roading but is a smart all-season safety net. 6. How is the fuel economy? Near midpack in the compact-crossover class, which is good news considering the EcoBoost engine performance. S models earn a just-par EPA rating of 25 mpg city-highway combined. Rated 26 mpg combined with front-drive and 25 with AWD, the 1.6-liter falls only slightly below top competitors of similar horsepower. The 2.0-liter is among the strongest engines in the class so ratings of 25 mpg combined with front-drive and 24 with AWD are easy to live with. Ford says both turbos will run just fine on regular-grade 87-octane gas but admits that using 91-octane premium will maximize both fuel economy and performance. 7. How does it handle? Great. Road manners are in fact a selling point. Today’s Escape originated as Ford’s European-designed Kuga and its driver-oriented genes are apparent. In this class, only the Mazda CX-5 has a better blend of secure cornering, sharp reflexes, and ride composure. Handling is aided by a AWD system calibrated to analyze road conditions and driver inputs such as steering-wheel angle and to adds or subtracts torque to maximize balance and grip. 8. Are the controls easy to use? Sort of. The bold, curvy exterior styling is reflected in a dashboard that puts fashion a little ahead of function. It is sporty and once you’re acclimated to some cryptically identified buttons, the placement of the controls and especially their quality-grade movement can be appreciated. And displayed simply on the dashboard screen, the basic Sync system holds no mysteries. Sync 3 is An effort to make amends for the exasperating MyFord Touch system now undergoing its welcome phase-out. Like its predecessor, Sync 3 aims for advanced voice- and touch-sensitive control over a wide range of information and entertainment functions. We’d still prefer more physical buttons and fewer virtually touchpoints, but the layout and labeling of the icons is more intuitive and it’s LCD graphics crisper and more modern. Our early exposure suggests its voice-recognition is far more accurate, too. The 8-inch screen employs tablet-style swipe and pinch-to-zoom adjustments – still not the best solution in a moving car – but can essentially mirror your smartphone’s screen and includes the versatile AppLink that automatically discovers and displays Spotify, Pandora, Glympse and other apps. Users of newer Apple iPhones get handy Siri Eyes-Free linking. And while Ford still squeezes you nearly $800 to add onboard navigation, the system pays off with clear mapping and decent voice-command comprehension. Not for back-seaters. That’s partly a downside of a Euro-sourced design that favors compactness and driver involvement. Shop rivals like the CR-V and RAV4 if your adult rear passengers demand any knee clearance at all with the front buckets more than halfway back. No complaints about front-seat room and comfort. And cabin-materials quality is exemplary for this price range. Another penalty of that German-grade handling is a taut suspension that doesn’t smother bumps very well with the 18-inch wheels standard on the Titanium and optional on the SE. Ride quality is harsh with the optional 19s. The newer rivals from Honda, Mazda, Toyota, even Hyundai and Kia do a better job of keeping wind and road noise out of the interior. Crash-test ratings are about average for the class. The ‘16 Escape earns four stars for overall occupant protection in the government’s 5-Star Safety Ratings system. Also earning four stars are such rivals as the CR-V, Jeep Cherokee, Kia Sportage, and Nissan Rogue, though the RAV4 earns the full five. 11. How’s the reliability and resale value? Initial quality is good, predicted reliability subpar, and residual values lag behind top rivals. Owner-survey results aren’t yet available for the ’16 Escape, but the ’15 model was the compact-crossover-class award winner for initial quality in owner polls compiled by J.D. Power, the leading automotive-consumer-assessment firm. That’s a step up from the average-to-below-average ratings for previous model years. It may bode well for predicted reliability, which was consistently subpar in earlier Power rankings. 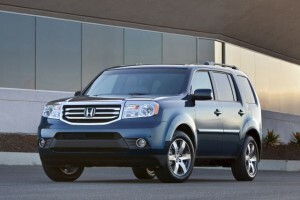 Indeed, the 2013- and ’14-model Escapes racked up an unusually high number of safety and repair-related recalls. As for resale value, the residual-value-tracking firm ALG rates the ‘15 Escape’s depreciation about average among all vehicles. However, ALG projects it’ll retain around 37-40 percent (depending on trim line) of its original sticker price after five years. 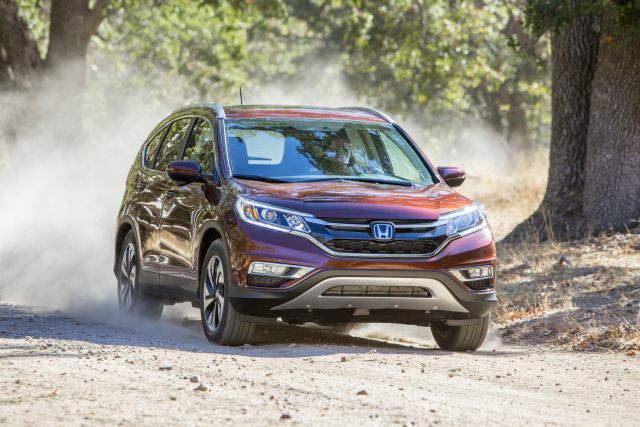 That’s short of the 42-44 percent predicted for the RAV4 and the 45-46 percent projected for the CR-V.
12. Is it better than the competition? Credit Ford for tapping its global vehicle inventory to bring Americans a compact crossover fully competitive with any in the world – and better than most for road manners and interior materials. But this design is beginning to show its age, not just in styling but in cabin layout and roominess. 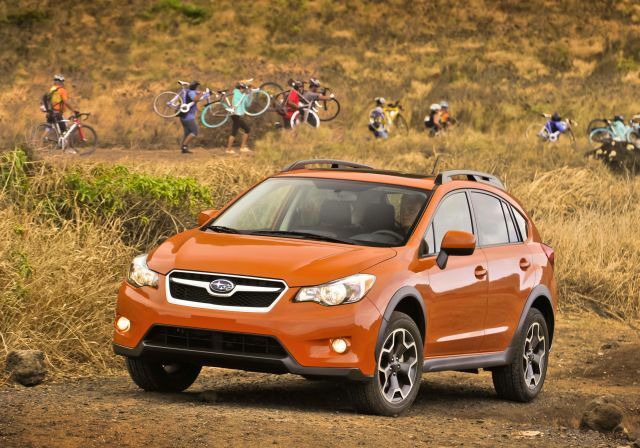 In this class, the RAV4 and CR-V set the bar high for space and utility, the Jeep Cherokee for off-road prowess, the Subaru Forester for all-around virtue, and the CX-5 for design and engineering sophistication. Still, Escape’s blend of assets and the willingness of Ford and its dealers to work with you on pricing should earn it a place on your shopping list. 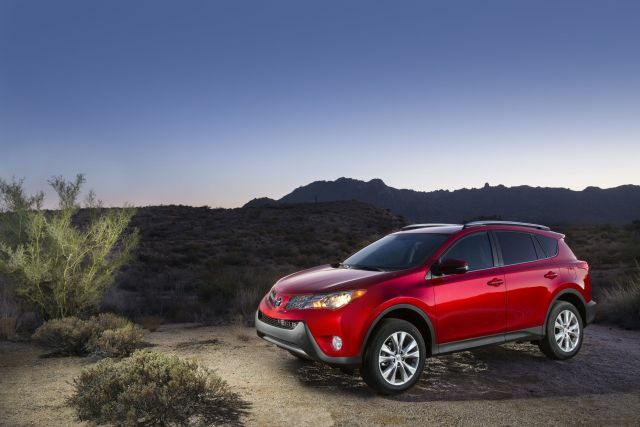 The first crossover, as we know the breed, was the 1996 Toyota RAV-4, a two- and four-door wagon based on the underpinnings of the compact Celica sport coupe. It ignited a revolution by departing from the prevailing truck-type, body-on-frame construction for a car-style, unibody design.